Creative Builders has provided quality Playground, Athletic Equipment and Site Furnishing installations throughout central and northern California since 2001. We work hard to ensure that every customer’s playground project is a positive experience, committed to making the installation process as smooth as possible. We pride ourselves on paying close attention to details when building our playgrounds, we believe that perfection is attainable and we strive for this standard in every playground, no matter how large or small. Our team of professionally trained playground installers have the capability to tackle even the largest playground installation with ease, utilizing the latest technology and equipment to make every playground installation flawless. 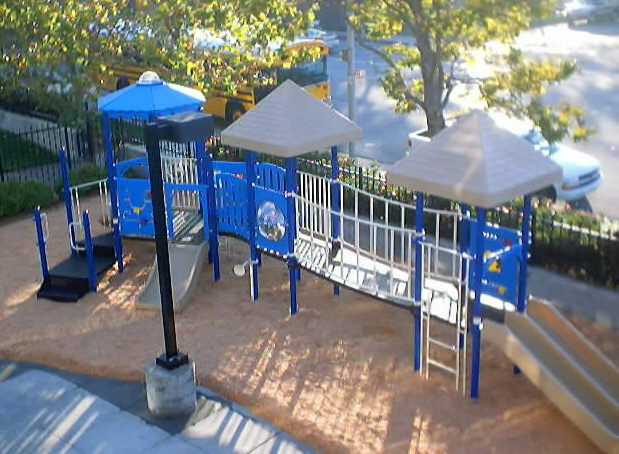 Our expert installation team will manage every aspect of your playground installation. We can install every type of playground equipment and shade structure. We install virtually all types of recreational and outdoor park equipment including benches, picnic tables, bike racks and more. We are licensed General Contractors, bonded and insured.